Hotel bars are always warm and welcoming, their purpose after all was to greet weary travelers with a drink after coming from afar. You no longer need to be a guest however to enjoy the perks of hotel bars. New York City’s hotel bars have the best to offer and are now regarded as some of the best cocktail bars in the city. Sophistication and luxury are both words that compliment the hotel bar. Often combined with the history of the building and chic decor. During the afternoons they’re used as meetings for business but when the sun sets they become an electric martini-swirling party. The hotels in New York have some of the trendiest and Instagram-worthy appeal of any nightclub. This list of cutting edge hotel bars need to be checked out whether you’re a local or traveller alike. 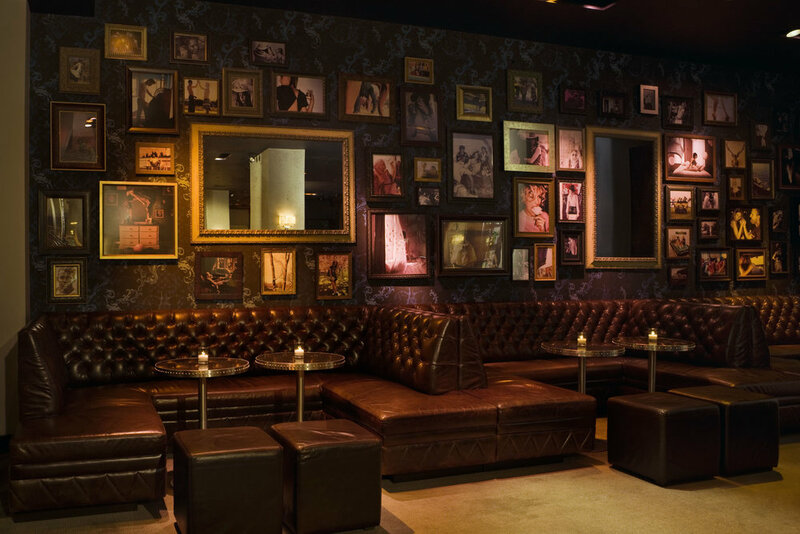 Whiskey Blue offers a modern take on New York’s legendary men’s clubs. Fashioned by SLDesign, the bar features navy snakeskin-leather club chairs and vibrant blue couches. Located on the ground floor of the The Maxwell New York City , Whiskey Blue offers an extensive selection of wine and beer, as well as a wide range of spirits and liqueurs. Its cocktail menu features an ever-changing selection of libations that highlight market fresh ingredients and seasonal favorites, in addition to signature sips. A small bites menu is also available. Guests of Omni Berkshire Place can enjoy Bob’s Bar then take their drinks to the hotel’s Saint Patrick’s Terrace, located on the 17th floor, to enjoy views of Saint Patrick’s Cathedral as well as take in the fresh scents of the herb garden used by the mixologist at Bob’s Bar. Furthermore, guests can even order food to be delivered directly to the terrace. Although not extremely large and expansive, Refinery is a two-story bar that offers sweeping views of the Empire State Building and Manhattan skyline. Not only is the location great, but also the cocktails are known to be one of the best as they are made with natural ingredients. Guests can enjoy delicious foods from chef Haskell’s full lunch menu, or if coming at night, be apart of the lively crowd and dance to great music. Mr. Purple, a rooftop bar and restaurant located on the 15th floor of Hotel Indigo Lower East Side, captures the vibrant and artistic spirit of the LES. The bar menu features an expansive collection of small-batch spirits, regionally brewed craft beers, universal wine offerings and a rotating selection of Gerber Group’s classic and modern cocktails that highlight market fresh ingredients. Signature sips include refined twists on classic cocktails like the GG Manhattan and Old Fashioned, in addition to craft cocktails carbonated and bottled in-house. Mr. Purple also serves fresh cold-pressed juices and handcrafted coffee from local purveyors Liquiteria and Irving Farm Coffee Roasters.